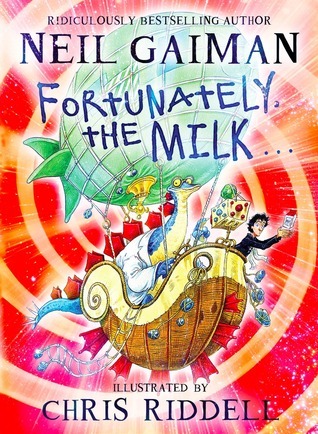 A typically wacky, entertaining story dealing with flying filing cabinets, lobsters (many…) and designer humans from Douglas Adams. As science fiction is wont to do, he takes various digs at “life as we know it”, but all in good humour. A fun read. Given that I was expecting a story dealing with time travel, I was very disappointed to discover that it is not. 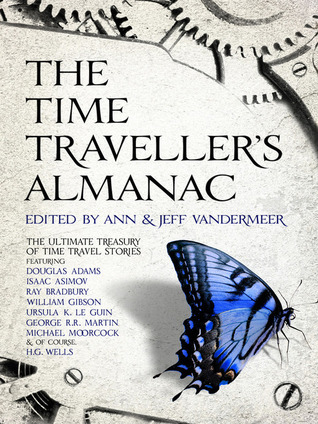 This has nothing to do with the story itself, but everything to do with it’s selection for inclusion in The Time Traveller’s Almanac. When a real ghost attacks Maxx inside the program, he’s saved by the last person he ever expected to see again, his brother. Risking everything for a chance to say he’s sorry, Maxx, Tane, and Maxx’s almost-girlfriend Emi, need to figure out why real ghosts are haunting a virtual world while on the run from a murderous cybergeist, high-tech security guards, a corrupt corporation with their own plans for the technology, the recluse genius who created the program, and Maxx’s own demons. This book is refreshingly humorous and inventive. 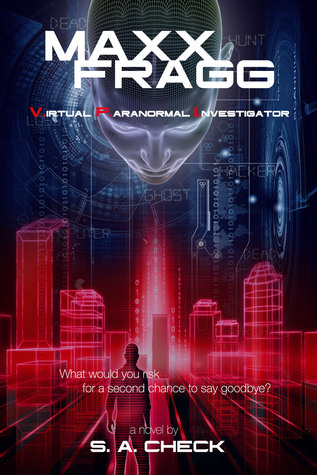 We meet Maxx Fragg, a Virtual Paranormal Investigator who scams the denizens of the virtual world of Other Syde as a ghost hunter in return for, well, payment. (what else?) Except he soon runs into a real ghost, with some serious consequences. A quick and easy read, I just love Check’s imagination, which comes through clearly. He treats serious subjects gently, and makes one laugh at the not-so-serious stuff. And this is the only spoiler: the dream sequences are FREAKY! Very well done, they are. It is a pity that the quality of the editing does not match that of the story itself, and it is hoped that a future edition of this book will be made available to a higher standard. This is the only reason this book did not receive five stars from me. If you enjoyed the Tron movies, and even Neuromancer, this one’s of a similar ilk. I’m not up on the YA protocols, but this appears to be a YA read.